Every year, thousands of vessels come in and out of the San Diego Port’s two marine cargo facilities and one cruise facility, primarily because of its prime location in between Los Angeles and Mexico. The many maritime workers and dock laborers that work in and on these vessels help to make this process run smoothly. Though, it is a high-risk job and accidents happen because of other people’s negligence. If you work in or on a vessel and are injured during the job, you will be covered by the Jones Act or the Longshoremen’s and Harbor Workers Compensation Act (LHWCA). 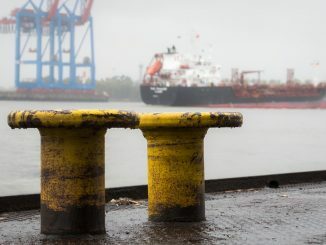 Because the laws governing maritime workers and dock laborers are tricky, you should contact an experienced San Diego maritime accident lawyer immediately. Our lawyers will maximize your chances for a successful recovery in a maritime accident lawsuit. Contact our law office for more information. Every job has its risks but some are greater than others. There is no doubt that commercial seamen and fishermen have faced many more unpredictable risks including harsh weather conditions, long work hours, and clashing seas. 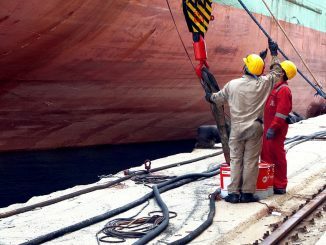 That is why it is extremely important to keep the vessel properly maintained and to keep the seamen onboard safe under extreme circumstances. But sometimes, accidents happen. The Jones Act of 1920 was passed to protect seamen injured or killed while working at sea and gave them the ability to obtain fair compensation for the negligence of the shipowner. Though the laws abiding seamen are somewhat complicated and the process of filing a claim can be difficult. Fortunately, our San Diego Jones Act benefits attorneys focus on getting the benefits you and your family need and deserve. The Laws Governing Seamen and Commercial Fishermen Are Extremely Complicated. If You Are Injured Either at Sea, the Jones Act Entitles You To Benefits. Call Our San Diego Jones Act Attorneys for Help. Commercial seamen and fishermen face sever unpredictable risks that make their jobs one of the most dangerous out there. Hundreds of accidents occur every year in the San Diego port. Because of harsh weather conditions, long and exhausting work hours, and high seas, it becomes especially important to keep the decks and the vessel maintained properly. The Jones Act, also known as the Merchant Marine Act of 1920 was passed to protect seamen who are injured or killed while working on a vessel in navigable waters. Jones Act is a fault-based system, and you must prove negligence to get compensation under the Jones Act. The Jones Act also covers injuries caused due to an employer’s negligence and vessels that are unseaworthy. A vessel is unseaworthy if it is not properly built or maintained, thereby creating an unsafe working environment for the crew. Employers may also be negligent, or careless, for failing to provide reasonably safe working conditions for their crewmembers. Work at sea more or less permanently – spent at least 30% of the time on a vessel at the time the injury occurred. This is the definition the court will look at. Work on a vessel that is still in navigation. ‘In navigation’ means that a vessel is still capable of moving about with a few modifications. What benefits does the Jones Act cover? Notify your employer immediately and seek medical assistance for your injury. Give written notice of your injury or death to your employer within 30 days of the accident. File a written claim for compensation within one year after the date of injury. It is important to act quickly; otherwise, you may lose your chance to get the compensation you deserve.